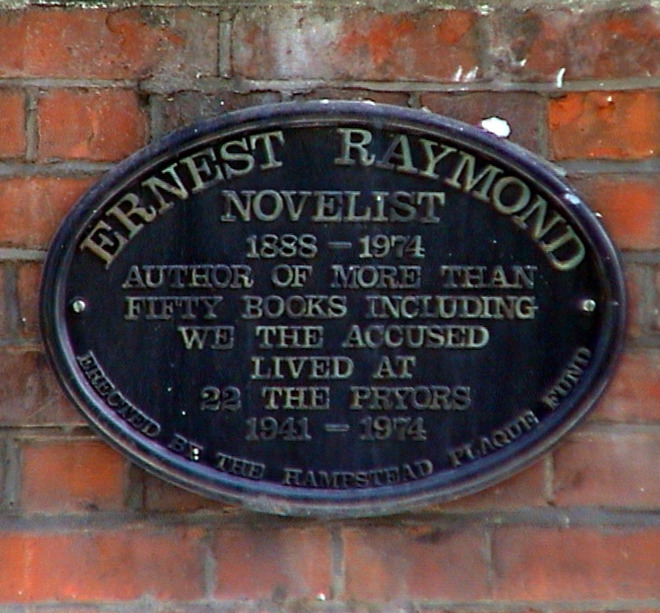 Ernest Raymond, novelist, 1888 - 1974, author of more than fifty books included Tell England and We, the Accused, lived at 22 The Pryors, 1941 - 1974. 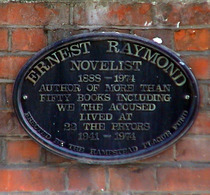 Novelist, author of more than fifty books included We the Accused. Shelley lodged here after he was expelled from Oxford.